Prepare to kiss that one-of-a-kind Wu-Tang Clan album goodbye, bro. A federal court judge in Brooklyn on Monday ordered the forfeiture of some $7.36 million in Martin Shkreli's assets, including the unique “Once Upon a Time in Shaolin” album that the fallen pharmaceutical executive bought for $2 million before he was convicted of securities fraud. Shkreli, who was nicknamed “Pharma Bro” after he infamously tried to jack-up the price of a life-saving AIDS drug by 5,000 percent, could also lose another rare record, “Tha Carter V” album by rapper Lil Wayne, and a Picasso painting, under Judge Kiyo Matsumoto's order. 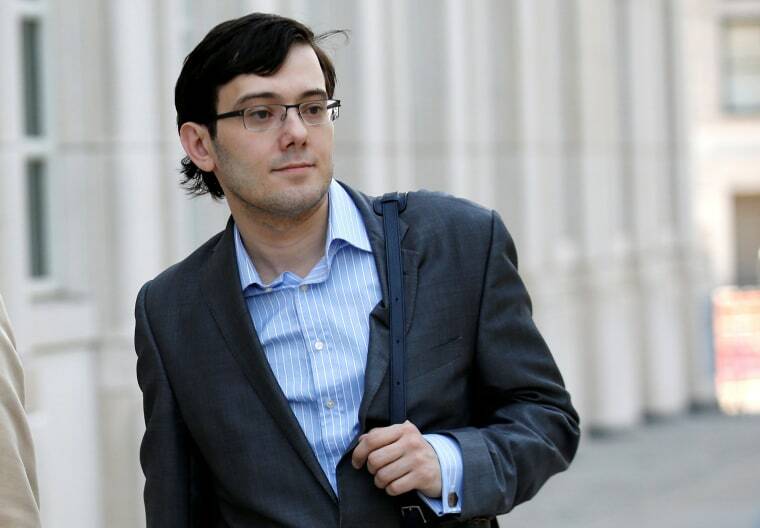 Shkreli faces the loss of $5 million in cash and his stake in the Vyera Pharmaceuticals drug company when he is sentenced on Friday, the judge said. Matsumoto, however, has stayed the execution of her order while Shkreli’s expected appeal of his conviction goes ahead. There was no immediate comment to Matsumoto's order from Shkreli’s high-powered attorney, Benjamin Brafman. But he has already made it clear he intends to appeal the conviction and fight any attempt to strip his client of any assets. Prosecutors disagree — they say Shkreli caused from $9 million to more than $20 million in losses. Last week, Matsumoto sided with the prosecutors, meaning that Shkreli could be sentenced to decades in prison if the judge opts to follow the federal guidelines. Shkreli bought the Wu-Tang Clan album at an auction in 2015 for a reported $2 million. He later tried to unload it on eBay and bids went as high as $1 million. But he apparently could not seal a deal. The former Turing Pharmaceuticals CEO has been behind bars since last September after the judge ruled that he had violated his bail by offering a $5,000 bounty to anyone who could procure him one of Hillary Clinton's hairs. Shkreli’s lawyers insisted he was engaging in political satire. Matsumoto didn’t buy it, saying that the offer could be viewed as "a solicitation of an assault."